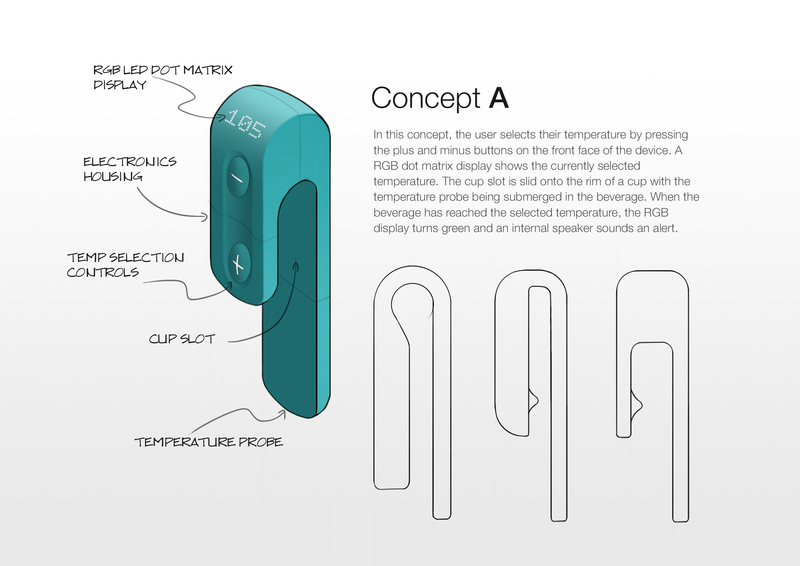 Concept sketches for a hot beverage temperature alarm that notifies the user when their tea/coffee is at the desired optimal temperature for drinking. 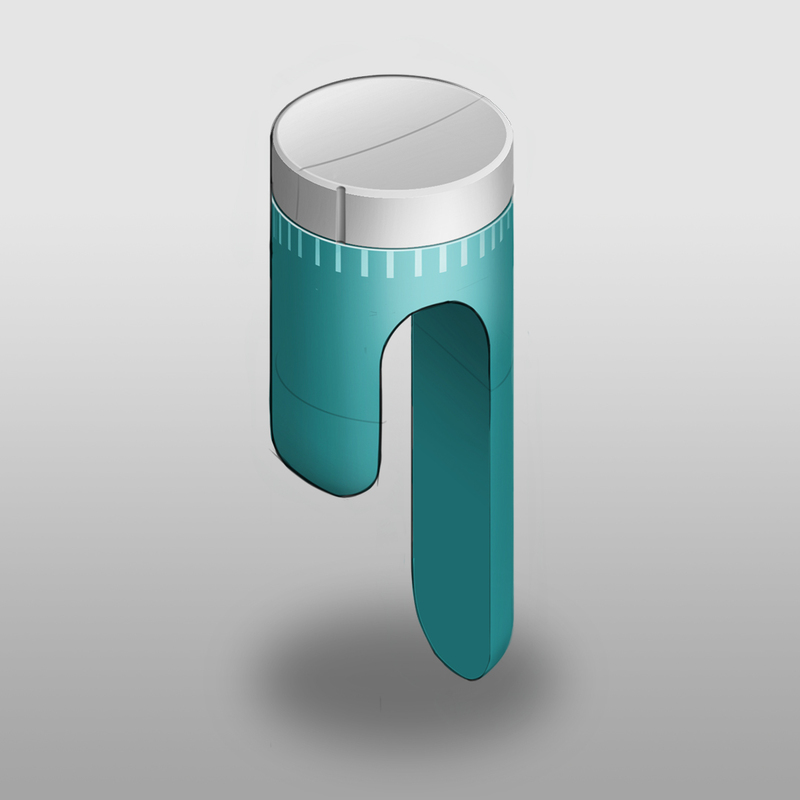 The product includes means by which a user can select a temperature preference. 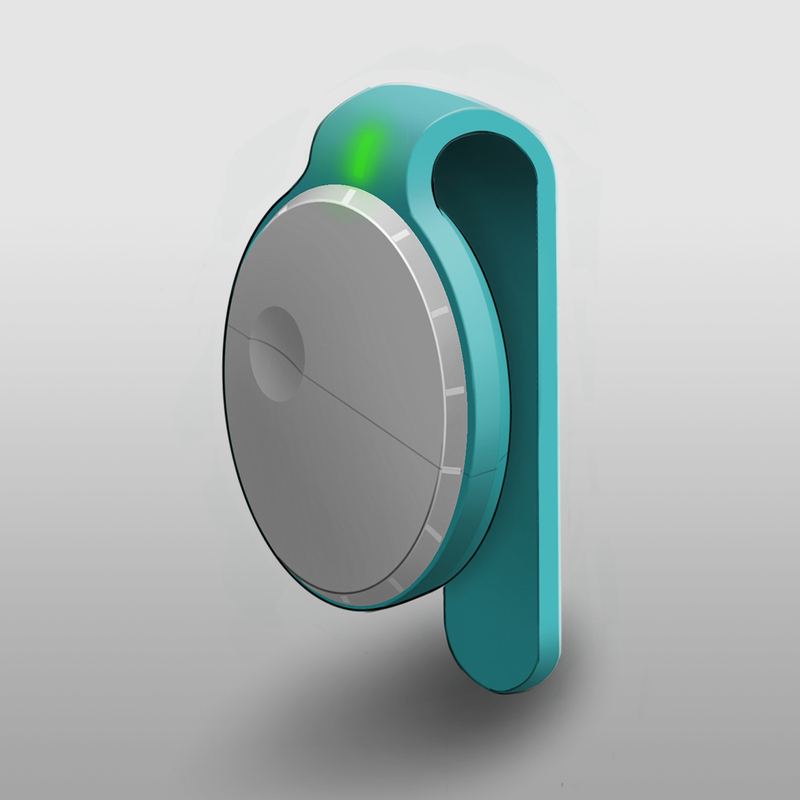 The user is then alerted via both visual and auditory cues when the desired temperature is reached.